The last name "McDonald" has been not only well known in this area for many years, but a prominent one too. The last country doctor in this area was a fellow by the name of Dr. John T. McDonald born in 1858. A native of the Alpine community, Dr. McDonald received his M.D. degree at the University of Nashville in 1900, and practiced around Alpine for over 50 years, traveling by horseback for much of that time. He was a Mason and of the Catholic faith. He is buried in the McDonald Cemetery. Be sure to watch for an additional story about Dr. McDonald to follow this one. Josiah Erwin McDonald disappeared while looking for moonshiners on Mill Creek in the area where the dam at Standing Stone Park is located. His remains were discovered some 70 years later. disappeared the year after the close of the war between the states - seventy years ago, and it was thought and generally believed that his body was placed in a hole in this community. J. Quincy McDonald, attorney of Livingston, and a grandson of Cy McDonald, now has the bones in his office and says that he is thoroughly convinced that they are the bones of his grandfather. Cy McDonald served through the War Between the States as a union soldier, and after the close of the war, he served as Deputy United States Marshall, storekeeper and gauger for Overton County. His home was near Nettle Carrier (now Alpine). It was claimed that he was decoyed to capture a distillery on Mill Creek and never returned home, and was never seen again. His gray horse was found the following day and it was currently reported and generally believed that he was killed and his body placed in a deep hole although it was never found. The hole where the bones were found, which is about one hundred yards from the place where the new clubhouse is being erected on the Resettlement project where a large dam is being built, is about one and one-half miles from the place where it was thought that McDonald's body was thought to have been placed. Porter McDonald of West Ford and Will McDonald of Alpine, sons of Cy McDonald, say that they are thoroughly convinced that these bones are those of their father. Local doctors here declare the bones to be that of a small white man. Tests and examination of the bones will be made in an effort to determine positive identification. Porter and Will McDonald plan to bury these remains near those of his wife and their mother in the McDonald cemetery near Alpine. 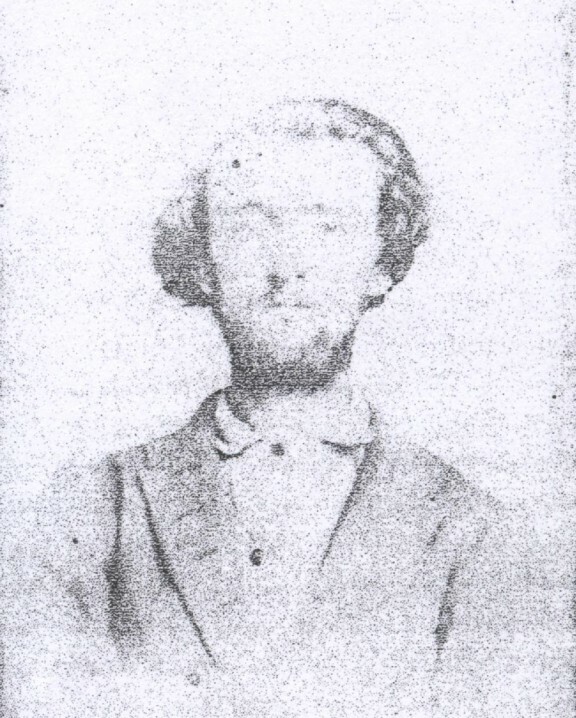 Cy McDonald was a son of Will McDonald, one of the early settlers of Overton County. He settled near Monroe. The wife of Cy McDonald, Jane Roberts McDonald Brown, was an aunt of ex-governor Albert H. Roberts. Since I was not familiar with the term "Resettlement Administration Project," I contacted Andy McBride, State Forest Supervisor of Standing Stone and Pickett State Forests. He explained to me that the Resettlement Administration Project was begun under President Roosevelt and included the relocation of struggling urban and rural families to communities planned by the federal government. State forest lands were acquired during the 1930's, as was the case with Standing Stone State Park, and through the Resettlement Administration Project, families were moved from severely depleted land and resettled elsewhere. Cy McDonald’s body was discovered during the time the construction of Standing Stone State Park was going on. Relatives of Josiah Erwin McDonald are Mrs. Leona (McDonald) Averitt, a great-granddaughter, and the late Treva (McDonald) Moore, also a great-granddaughter. Mrs. Leona Averitt and Mrs. Treva Moore are first cousins. On Tuesday, August 18, 1936, while directing a crew of hands working on the Resettlement Project for the purpose of utilizing a rock quarry at the mount of a small cave, Walter Bocher, foreman, entered a cave and unearthed a human skeleton some twenty-five feet from the entrance. The skull, shoulders and large bones for the arms and legs were discovered and were carried to the office of the foreman and may be seen there. The discovery was made on the Ambrose Peterman lands located two miles south of Timothy on Mill Creek near the construction of the 65 acre dam. So far as has been ascertained, there is no lone living who has any information, traditional or otherwise, relative to the mysterious disappearance of any person from that community, and the general conclusion is that the bones are those of an Indian. They were covered and had evidently been placed there purposely while this community was inhabited by the Indians 150 years ago or longer.